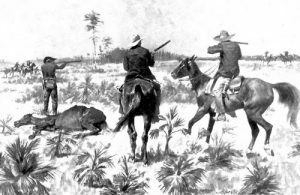 In the 1800s our country was challenged with ‘range wars’ as a result of expansion of our population moving to the west. Barb wire and guns were used to protect one’s property. Today, these so called ‘range wars’ are being replaced with what we know as ‘water wars.’ As a result of climatic changes, many parts of our country, especially here in Idaho and where we reside, are experiencing unusually long drought seasons at times. These droughts are creating challenges for allocation of available water resources and how available water will be utilized. Riparian rights make it so an owner of land can utilize water that is flowing through, around, or on their property or around the borders of the owned land. It cannot be lost due to non-use. Idaho doesn’t, however, recognize riparian rights under the laws of Idaho. One not used, this right can be lost here in Idaho. Water right can only be established by appropriation and once it is established. The Idaho Department of Water Resources is the regulatory agency that administers water rights and has a duty to supervise the appropriate and allotted use for benefited purposes. The natural streams, the springs, the lakes, seepage waters, or ground water shall make application for a permit from the IDWR before commencing to construct, enlarge, and extend any ditch, well, canal or other water distributing system. As we utilize and use these different areas for our water usage, whether it be on farms, for irrigation in our homes, or water that we will use in house, they need to be a part of it. There are domestic water usages rights as well, and if we are living on a 1/2 acre of land, the total usage of land may not exceed 13,000 gallons in one day. As a soon to be real estate agent, you need to be very careful when listing homes on small ranchette type properties, that are irrigated from a domestic well, especially if more than half acre is being irrigated. If you have any doubt at all, make sure to contact IDWR before going forward with the listing. 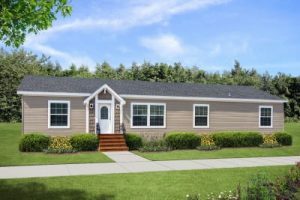 As manufactured homes have been able to be moved, can be moved, and are moved all the time, the Manufactured Home Residency Act was created in 1980. The purpose of the act is to address issues not covered under the basic rights of the typical land lord to tenant laws between park owners and park residents. 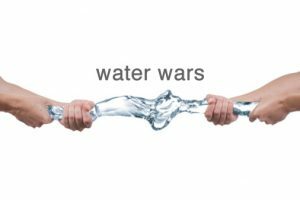 As ‘wage wars’ were a big part of early settlement and have had some sticky moments and situations, we now have these ‘water wars’ to deal with at times. Be careful going into the real estate business as you need to make sure to learn, and know, all the fine tuned pieces of real estate and the simpler, stranger ‘wars’ that abide in Idaho. Information provided by Snake River Regional Multiple Listing Service (SNRRMLS) is deemed reliable but not guaranteed. Real estate listings held by brokerage firms other than The Group Real Estate are marked with the SNRRMLS logo or an abbreviated logo and detailed information about them includes the name of the listing broker. Data last updated: 2019-04-20T17:23:13.243. Listing information © 2019 Teton Board of Realtors MLS. All rights reserved. IDX information is provided exclusively for consumers' personal, non-commercial use and may not be used for any purpose other than to identify prospective properties consumers may be interested in purchasing. Information is deemed reliable but is not guaranteed accurate by the MLS or The Group Real Estate. Data last updated: 2019-04-20T17:02:01.063.